One of the perplexing things about now living in California is the amount of time I seem to have to enjoy personal hobbies. Living in Oklahoma, we seemed to always be busy. I was rushed, and I sacrificed doing things I enjoyed personally in favor of my business or my family. Now living in California, we are still busy probably even more so, but I find myself cooking more and most importantly eating together at the dinner table when the hubby or I isn’t traveling. In fact just last night we cooked up the most amazing cauliflower mashed potatoes. 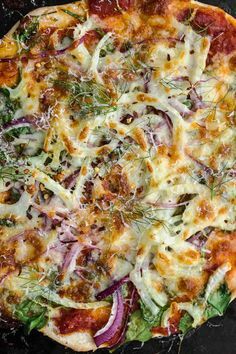 I’ve put together a Pinterest board of recipes we’re committed to trying. 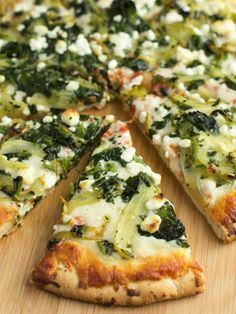 Click here to access the Yummilicious board on Pinterest. At our home in Northern California, we have a number of fruit bearing trees in our yard including lemon, orange, guava and pomegranate. 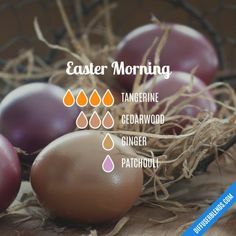 And so far we have enjoyed using our backyard resources incorporating them into our meals every chance we can. We have two orange trees, and truth be told we are up to our eyeballs in oranges which is why we decided to get a little creative beyond smoothies, popsicles and freezing our juice. We decided to try our hand at orange marmalade. Now I’ve canned in the past. I grew up helping my mom make strawberry, grape and cherry jam. I’ve even had success a few years back in canning my own tomatoes from my garden, but orange marmalade was a new adventure for me. When I’m canning I use a 20 quart stock pot, a large wooden spoon, a large pressure cooker, assorted canning jars and lids, a funnel and a pair of tongs. Of course, you will need lots of oranges. Luckily, I have more than a few. It had been a while since I had canned with my pressure cooker, and I always get nervous using it because of the high velocity steam. Sadly, I couldn’t find a lot of great information and videos which is why I’ve included instructions on how to sanitize your cans and seal them using your pressure cooker included in this recipe directions and outline. Some of our orange stash. This recipe didn’t even put a dent in the tree in our back yard. To start, we sourced Alton Brown’s orange marmalade recipe from the internets. I made a double batch since we have ridiculous amounts of oranges at our place. If you don’t want to make as much marmalade, you can half the batch. Wash your oranges and lemons. You will be leaving the peels on your oranges so make sure they are scrubbed clean. Cut the oranges into 1/8 inch slices and remove the seeds as you go. 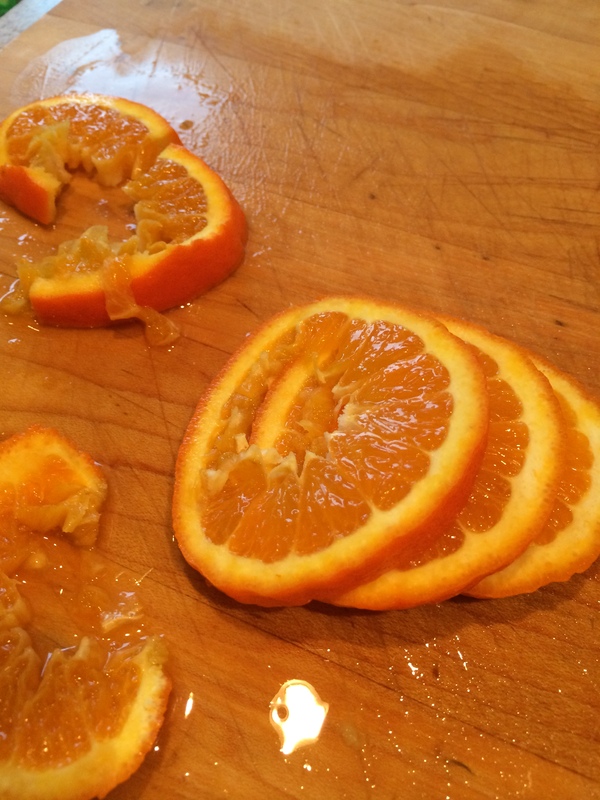 Stack the orange slices and cut them into quarters. Place them into your steel pot. Add the lemon zest, water and sugar. I’ve made a note to invest in a new zester. Our little KitchenAid guy isn’t enough for this big two lemon job. Set your temperature on high heat and bring it to a boil. Let it boil for 10 minutes stirring often. Reduce heat after 10 minutes to a rapid simmer. Stir frequently and cook for 40 minutes. Cut your oranges to 1/8th inches thick. We didn’t follow Alton’s instructions to use a madoline. Use your best judgement. 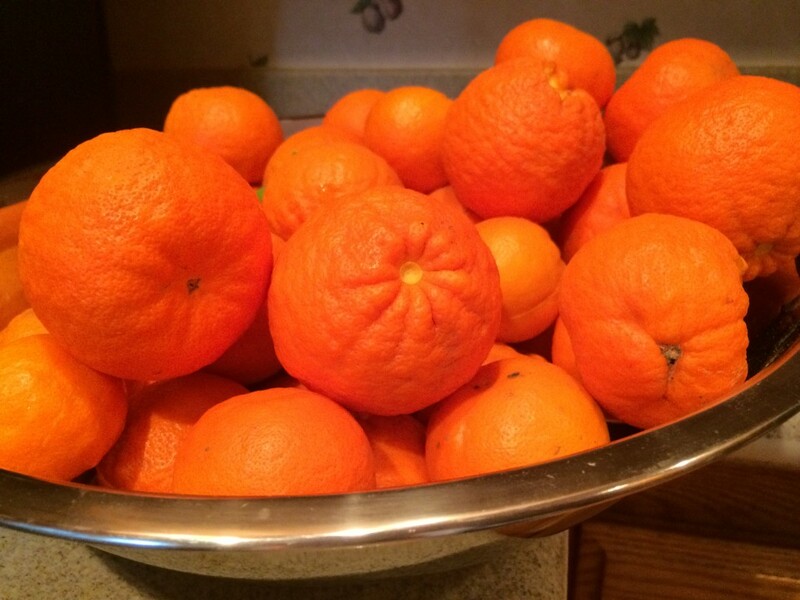 3 1/2 pounds of oranges just as we put them on the stove top and heated them to a boil. While your fruit is cooking, get out your pressure cooker. Fill with 3-4 cups of water. Insert your metal grill and fill with opened jars and place your lids beside your cans. Close the pressure cooker and add the whistle top. Turn on high heat. Once it begins to steam, leave it on for 10 minutes. Then shut off the pressure cooker and then pinch the whistler at the top to slowly release the steam and pressure so you can safely open. 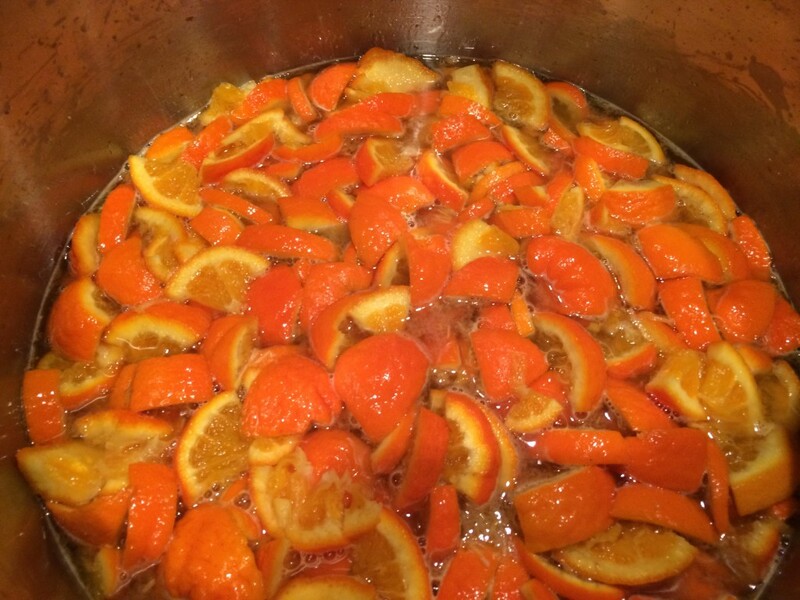 By now, your oranges are likely simmering rapidly. I like to stir with a wooden spoon. The steam is sugar-ridden so it’s sticky. That means you’ll need to turn on your vent fan and be prepared to wipe down the above cabinets. I speak from experience. Oranges in the stock pot coming to a boil. Sticky steam! The marmalade will reduce quite a bit. It’s part of the process so don’t despair. Once your marmalade is cooked, use your tongs and a silicon kitchen glove to protect your hands. 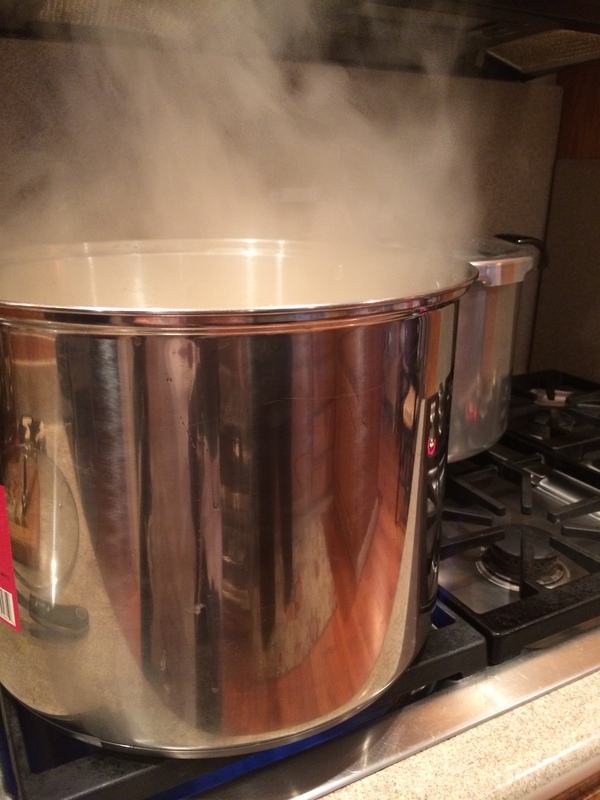 The water in the pressure cooker and the sanitized can is hot. 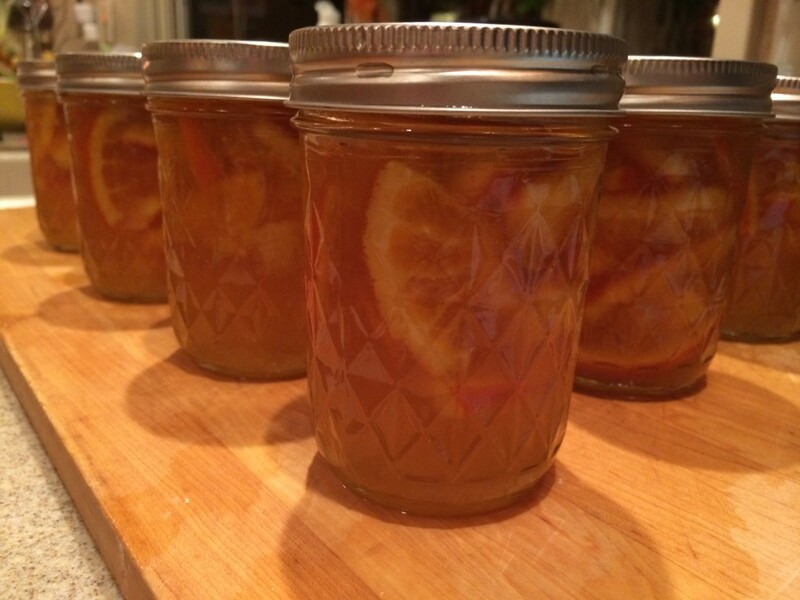 Add your funnel to to the inside of your jar, and use your ladle to carefully add the marmalade. I picked up this colorful and multi-sized funnel at Target for just a couple bucks. I filled the jam jars all the way leaving 1/2 inch to a 1/4 inch at the top. Because I doubled the batch, we had a lot of extra marmalade, I ended up using my extra large canning jars after we ran out of our 10 16 ounce cans. 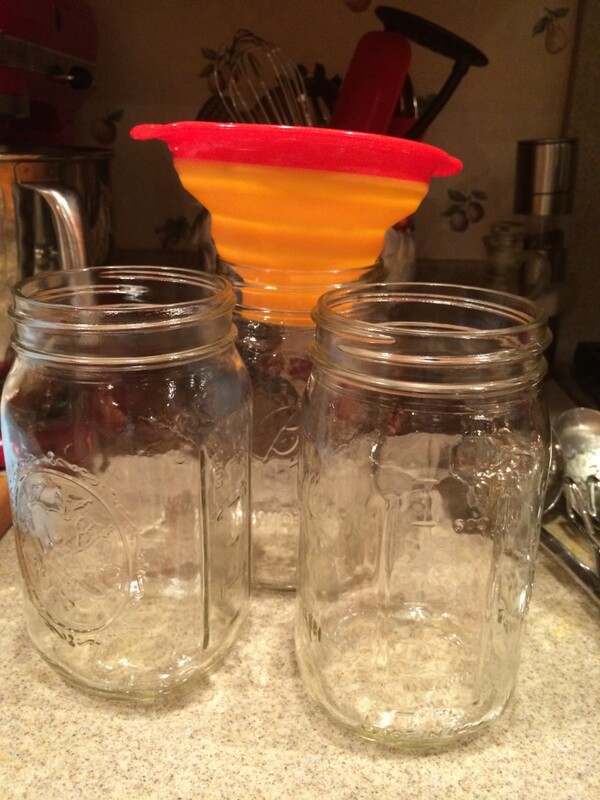 Be prepared with 20 16 ounce canning jars, lids and rings. I had to improvise. A pressure cooker is much easier to use and quicker for canning, securing and sanitizing your jars. Once your jars are full and lids secure, add them back to your pressure cooker. Add back in 2-3 cups more water. 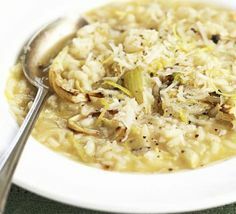 Tighten pressure cooker and heat back up for about 5-10 minutes. Release pressure and open with caution. Remove the jars with your tongs and silicon kitchen gloves. 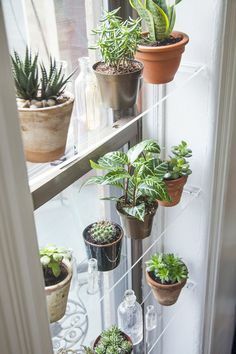 Set them aside to cool for at least 24 hours in a cool, dry place before storing. 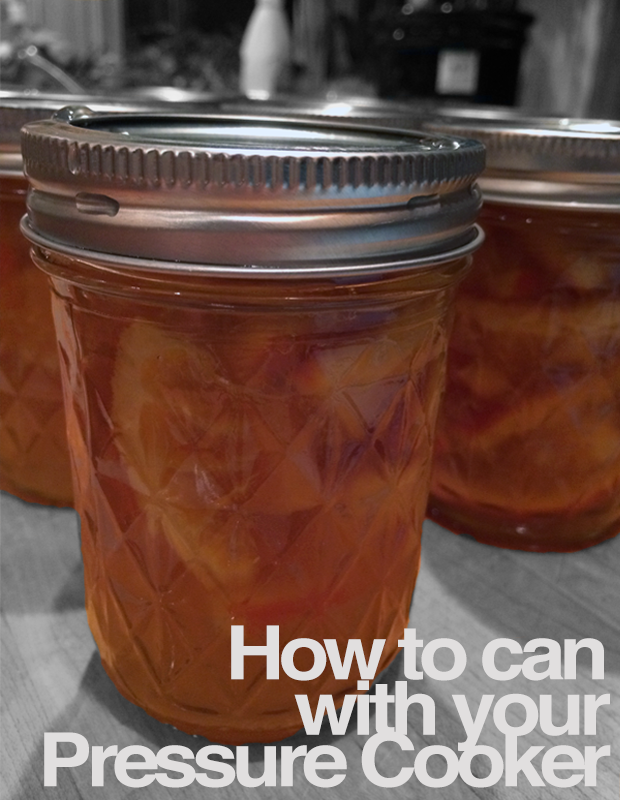 Let your newly canned jams cool for at least 24 hours before moving them to storage. The marmalade keeps for 6-9 months, and I am looking forward to cooking with it as the main ingredient for an orange chicken recipe I’ve used for years in addition to the standard jam on toast we have at our place. Subscribe to my RSS feed as I’ll be posting the orange chicken recipe very soon. Posted on February 17, 2014 by lifeparagraphs. 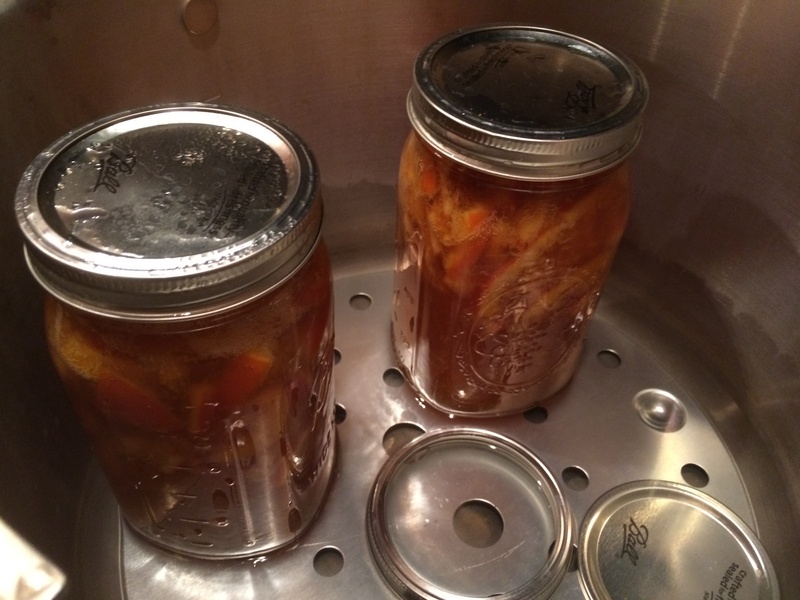 This entry was posted in Home, Passion and tagged canning, canning with pressure cooker, marmalade, oranges. Bookmark the permalink.